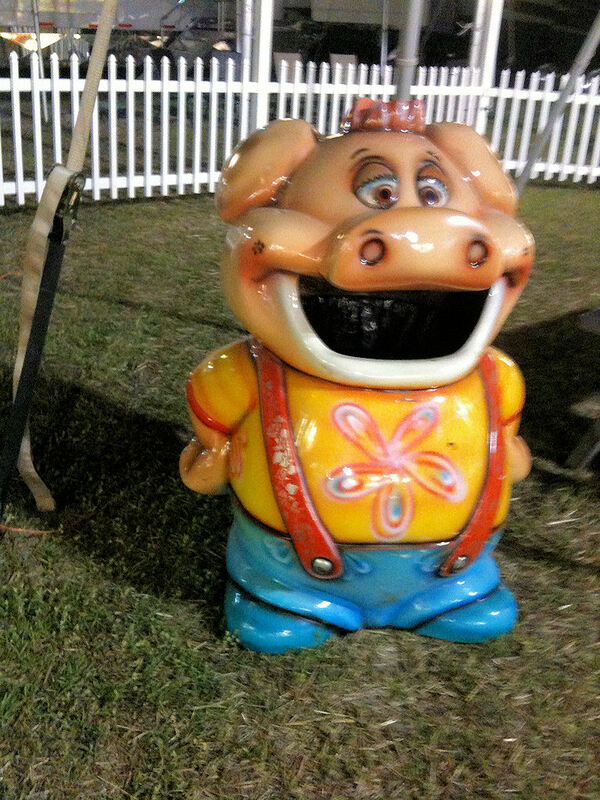 So, the B and I went to the Cape Fear Fair & Expo on Thursday night. (opening night) It was BEAUTIFUL. The lights, sounds, SMELLS...they were all just, well, a bit overwhelming but definitely awesome. There were some really cute animals and some really interesting rides. 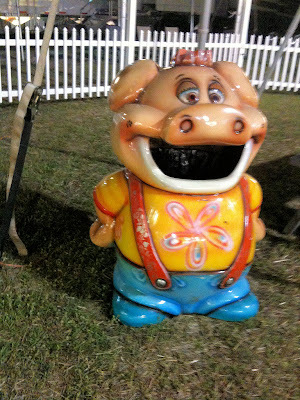 The B and I went to the SC State Fair last year and we both thought that this fair had way more diversity when it came to the rides. The only thing I didn't like about the fair were the heckling game attendants who call you out as you walk by and try to entice you to win an oversized stuffed animal or personalized basketball. Thankfully, I have no use for a giant banana with a rastafarian wig, so I was not persuaded by the game masters' attempts. Here are a few shots from the fair. Be warned that these are iPhone photo pics...so the quality isn't so great. However, it gives you an idea of what it was like. Behold the gaming extravaganza. In the top right...the giant banana with a rasta wig. Ridiculous. The amazingness that is the Deep Fried Oreo. 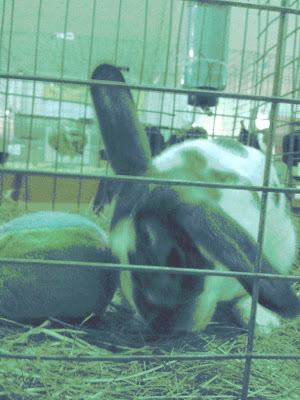 There were SO many cute bunnies that I wanted. I'm probably allergic to them, but they are so dang cute. I was torn between the ones with the floppy ears and the ones with the stick-up ears so the B suggested one like this guy. He had one up ear and one down ear. He's constantly undecided. I liked him. Plus, he played with his ball and toys a lot. He kept himself entertained. Another plus in a pet. 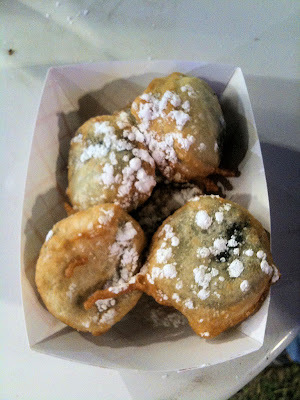 i have heard rumors about these deep fried oreos. but i have yet to see one in real life. same goes for rastafarian bananas....they are quite the enigma around these parts.